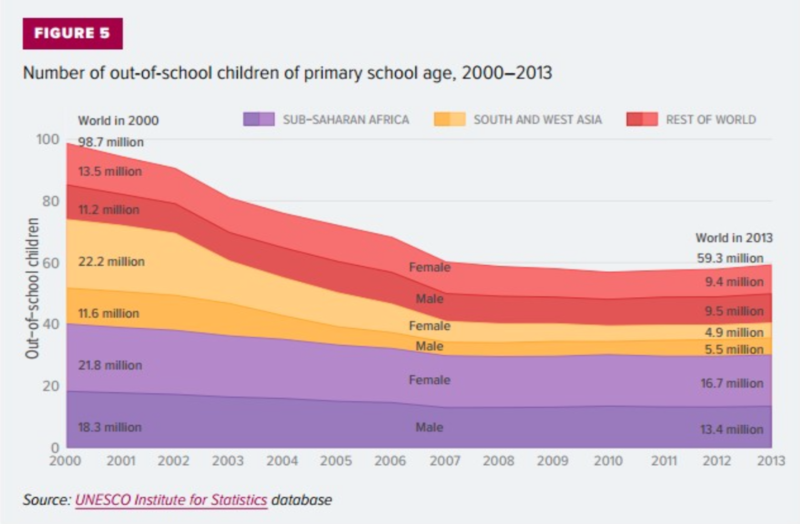 In countries afflicted by war, girls are kept from attending school for a variety of reasons. The insecurity associated with armed conflict may keep parents from sending their children to schools and make it difficult for school officials to protect children. Some fear daughters will be seized by armed groups or injured or killed on their journey to/from school or when schools are under attack. 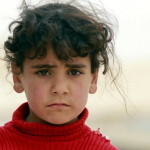 Girls living in refugee or displaced persons’ camps are at particularly high risk of sexual abuse and exploitation. Moreover, the psychological trauma, fear, and stress caused by attacks or fear of attacks hinder learning and teaching, affecting motivation and attendance of both staff and students. When it comes to children displaced by war, the barriers to education only increase. The UN Refugee Agency reports that only 50% of all refugee children are enrolled in primary school; approximately 25% are enrolled in secondary school; and just 1% is enrolled in tertiary education. And refugee girls face a significant disadvantage when it comes to access to education. For those refugee girls that are able to access schooling, it is estimated that they complete on average just 3 years of education. This is the reality for refugees around the world, like those from Syria, where the conflict in Syria has produced the largest international refugee crisis in nearly 25 years. UNHCR now lists the number of refugees fleeing the country at more than 4 million, with most arriving to camps in Lebanon, Jordan, and Turkey. Millions more Syrians are internally displaced. In 2000, Syria could boast universal primary enrollment; by 2013, 1.8 million children were out of school. 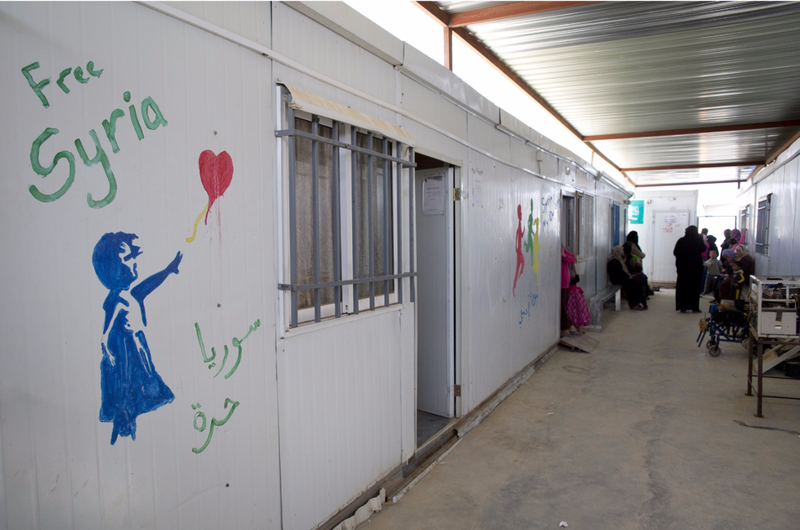 Within refugee camps, an education can often be hard to come by. In May 2015 Lebanon registered nearly 1.2 million Syrian refugees with an estimated 90% of the refugee children of primary and lower secondary school age out of school in 2013. Where refugee parents struggle to feed their children, education often loses priority. In camps, some refugee parents find themselves legally prohibited from attaining employment and therefore resort to desperate measures. This includes the increase of child labor, and for girls in particular, child marriage. A 2014 UNICEF study on early marriages reports that one third of registered marriages among Syrians in Jordan involve children. “When we came to Lebanon [as refugees…], my children couldn’t continue their education … At first my daughter, son, and I were living with my brother and his family. My 16-year-old daughter had to get married because we were under pressure. I didn’t approve of this but circumstances pressured us – economically, financially, and psychologically.” – Nour (not real name) is 40 years old and is from southern Syria. She now lives in the Bekaa Valley region of Lebanon. Access to a safe and quality education is a fundamental right of all children. For girls in conflict-affected environments, education can offer a sense of normalcy and hope in a time otherwise rife with chaos and uncertainty. It can offer a chance of a better life and open up opportunities in addition to instilling self-confidence. It can also offer an alternative to child marriage and child labor and can reduce the risk of other human rights abuses, including child recruitment into armed groups and sexual violence. Much has been done by non-governmental organizations and UN agencies worldwide to address gender parity and access to education for the most vulnerable, but at present we face the very real prospect that most out-of-school children will not enter/return to school, including nearly an entire generation of Syrian children, particularly Syrian girls. Across the world, Amnesty activists are calling on their governments to do more to protect and resettle refugees. Take action and demand the United States stop refugee bashing and do more to resettle and support refugees. The education—and lives—of refugee children are at stake. This entry was posted in Children's Rights, Refugee and Migrant Rights, Security and Human Rights, Women's Rights and tagged 16 Days of Activism against Gender-Based Violence, Children's Rights, Displacement, From Peace in the Home to Peace in the World: Make Education Safe for All!, Gender Parity, nigeria, pakistan, peace and security, Refugee rights, right to education, Syria, women's rights by Guest Writer. Bookmark the permalink. What is the problem with Amnesty international when Eritrea keep Eritrea safe by mobilized its own people to participate on national service? Very cool… My manual entry days are over and I like icons. Thanks for sharing, James! The above article contain some very interesting facts about the access a safe education as a girl child of war. So many countries have girls education related problems. Good piece of information which including the survey of child education. A lot of more suggestion at 6jwqdy.com and this will be helpful for those people who connected with it. It's very sad to know that girls are really facing many issues when it comes to study and especially in some rural areas. As per the reviews from http://www.ninjaessays.org/ blogs study reveals that authorities must take a good safety measures in girls schools or institutions. Great access for child eduction. The plight of children in these areas is very sad indeed. I think the USA and our allies should do more to drive peaceful revolution in these areas so that future governments will not be able to bring harm to children. Kids should be focused on being kids, not surviving war or being worried about food and sickness. Nice blogging..Thanks a lot for posting this. At the point when alloted to compose an exploration paper for school, one is regularly confronted with two exceptionally overwhelming undertakings. Good piece of information which including the survey of child education. A lot of more suggestion at [url="http://eurasia-institute.com/languageschool/"%5Dwho will accompany me in Germany work too? [/url] and this will be helpful for those people who connected with it. Feeling so sad for Syria! This article tells how access a safe education on girl baby during war. Women’s human right coordination group takes necessary steps to control it & this blog helps to encourage people. Here Limousine Houston has offered affordable party bus service transportation for events all over the Houston for almost 20 years. It a great experience!! The purpose of education is very simple. It creates a healthy environment where humans can appreciate the essence of life. India isn't a poor country as regarded by many and Education is the central key to empowering people especially women and girls because this can help in bringing social equality. Science education is difficult and there is no doubt in that. But still it is the most necessary thing we should educate our youth about. It is the base of the technologies that we are using today. Very effective article. Indeed, it may be useful in life, and not once. Count should still read it and you will not regret it, I guarantee)) Have a good day! Reducing terrorism,education system of Syria can be developed.Very interesting post thanks for sharing. First of all terrorism need to be stop in Syria.Then,proper education environment can be can be created. The info graph is very good.Such a informative things are there.It can give a clear concept to the readers. What an article…!!! This article is very much relevant in today's war stricken world. Some days earlier we had observed the birth day of Malala, who today personifies the importance of girl child education in the war stricken areas. Thanks for sharing such a beautiful article. This is very sad that something like this is happening in one part of this world. it should not happen in Syria as if it will keep happening like this, the time will come when everywhere such things will happen. feel very bad to heard this. Education is very important to develop our skill. Very usefull.. thanks for sharing & explanations.. Thanks to the editor for sharing this article.Information which you have provided is absolutely true. Reducing terrorism,children can get their rights.Very interesting article.Thanks for sharing. Great post on human rights. Thanks for sharing. Good work. Thanks for sharing this. Nice article on safe education for girl child.